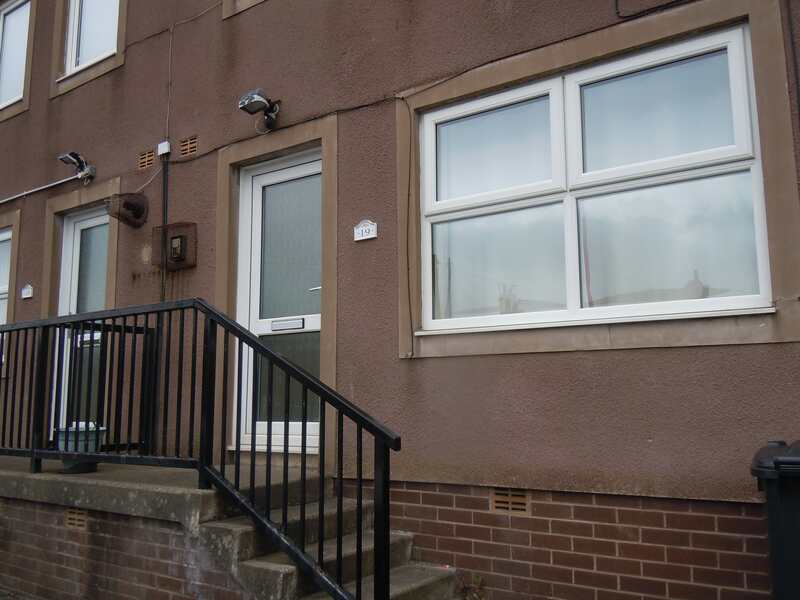 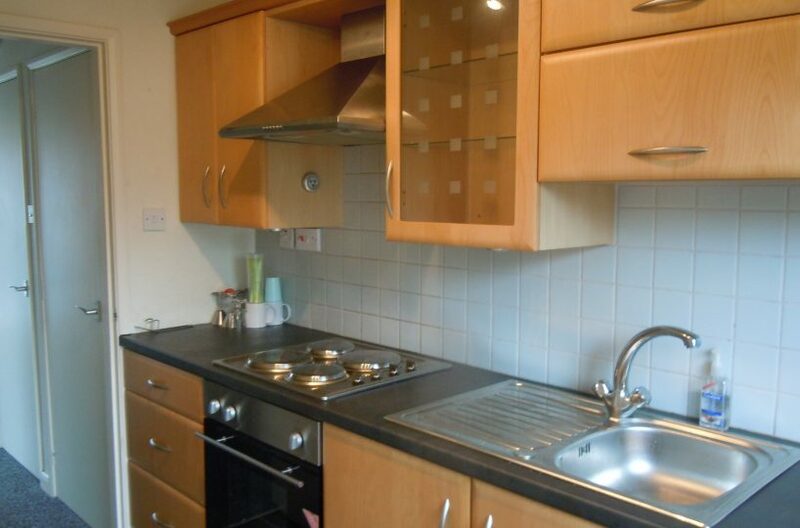 This property is a very well-presented one bedroom apartment in a well-maintained block within easy walking distance of Carlisle city centre. 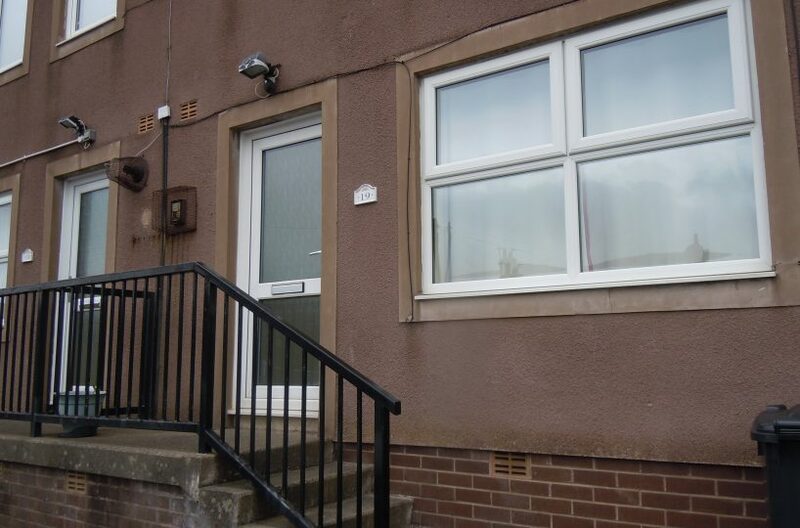 Entrance: The property is entered up a short flight of stairs and then through the double glazed front door which leads into the hallway. 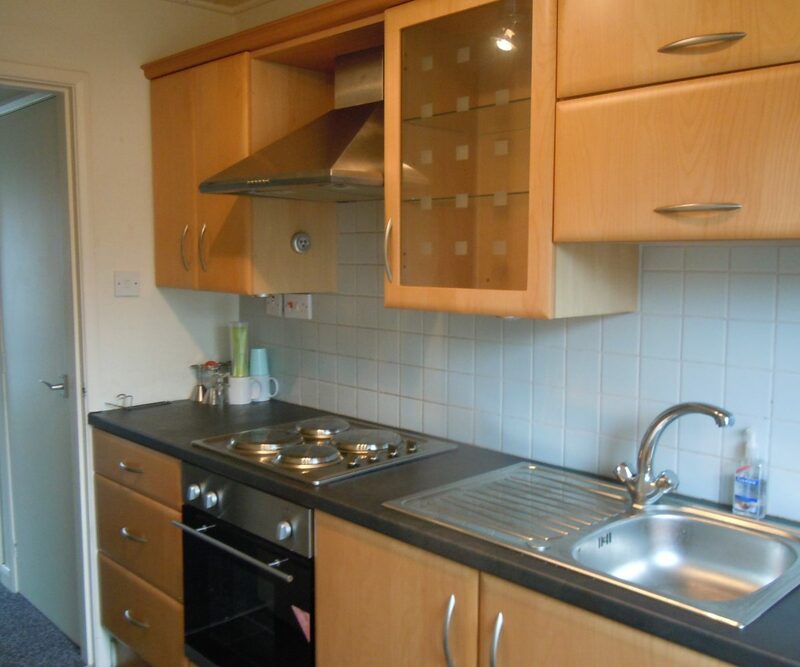 Here there are three large built-in storage cupboards. 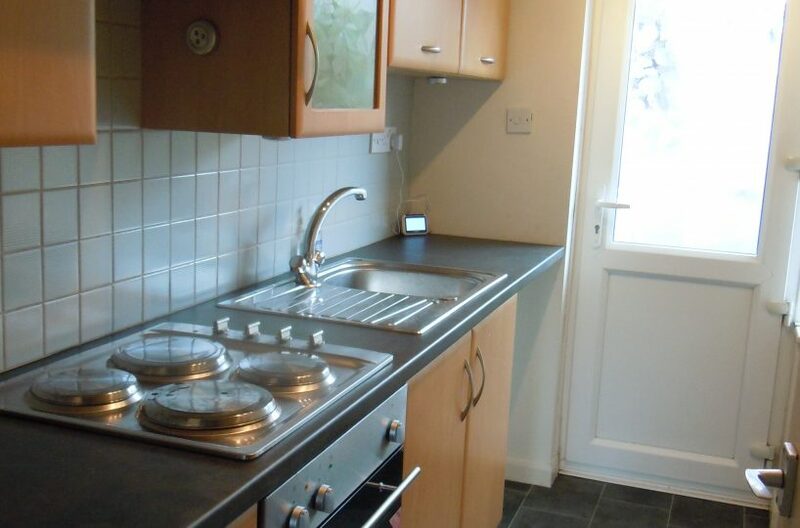 Kitchen: Fully fitted with modern floor and rear wood-effect cabinets, the modern and attractive kitchen is located at the rear of the property. 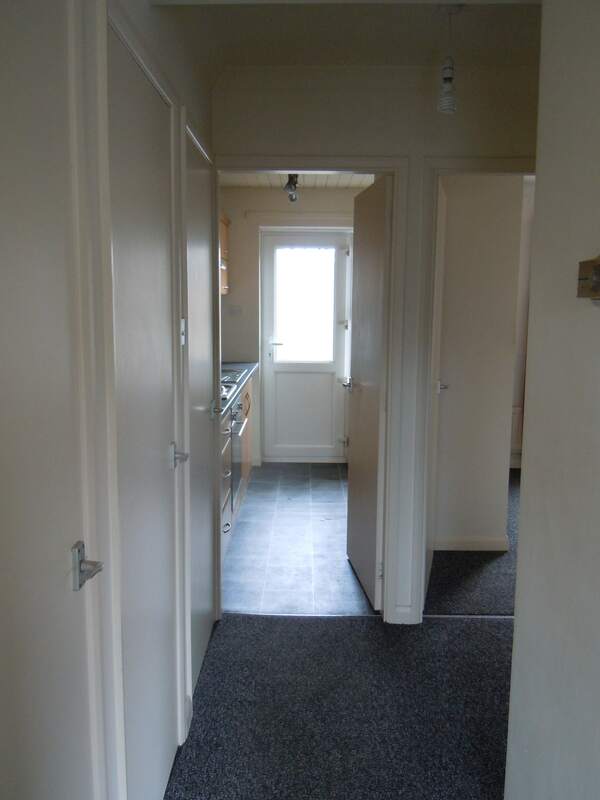 There is a black work surface and neutral tiling, vinyl flooring and magnolia painted walls. 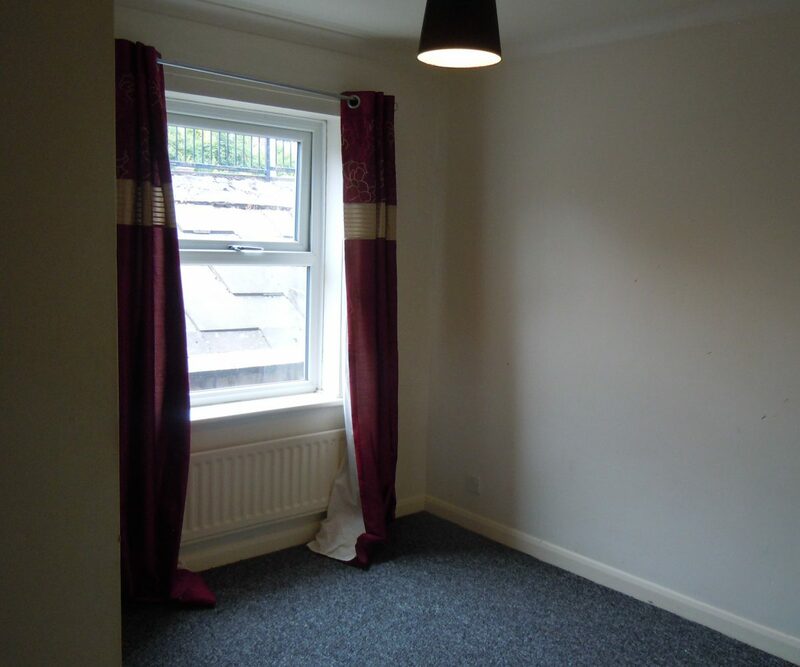 The glazing in the back door and window allow plenty of light into the pleasant room. 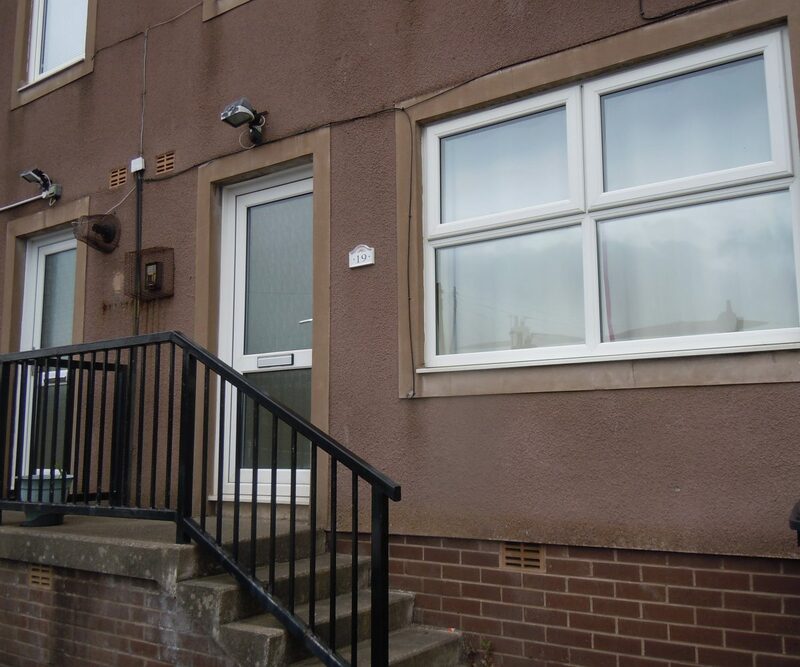 Rear yard: This is a useful small space behind the house which includes a good-sized, lockable storage cupboard for recycling or a bike. 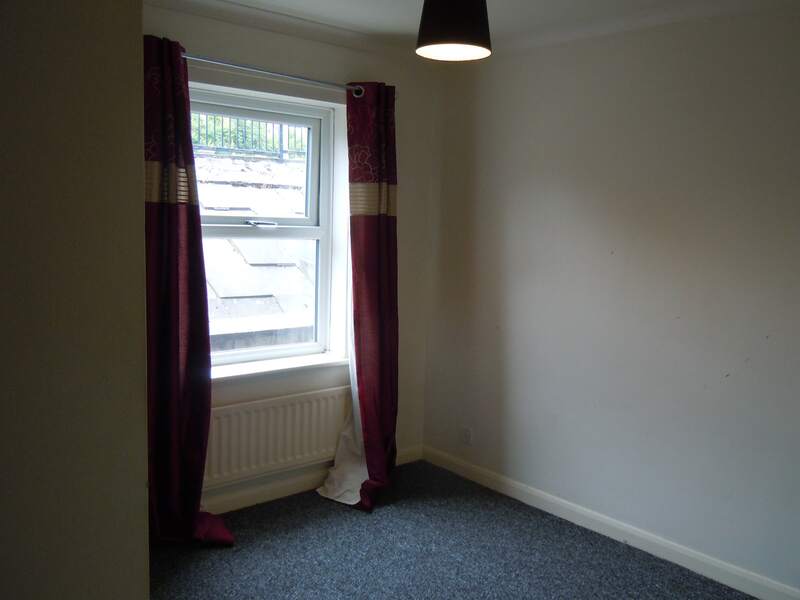 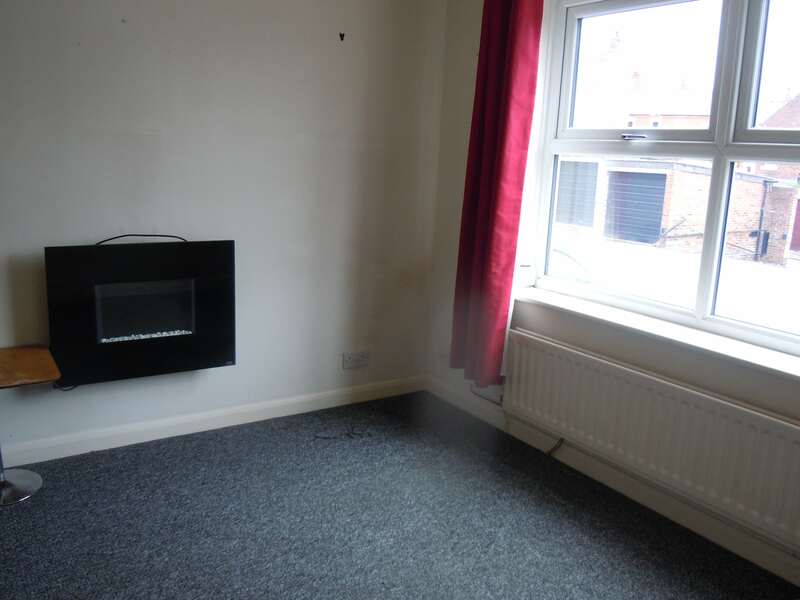 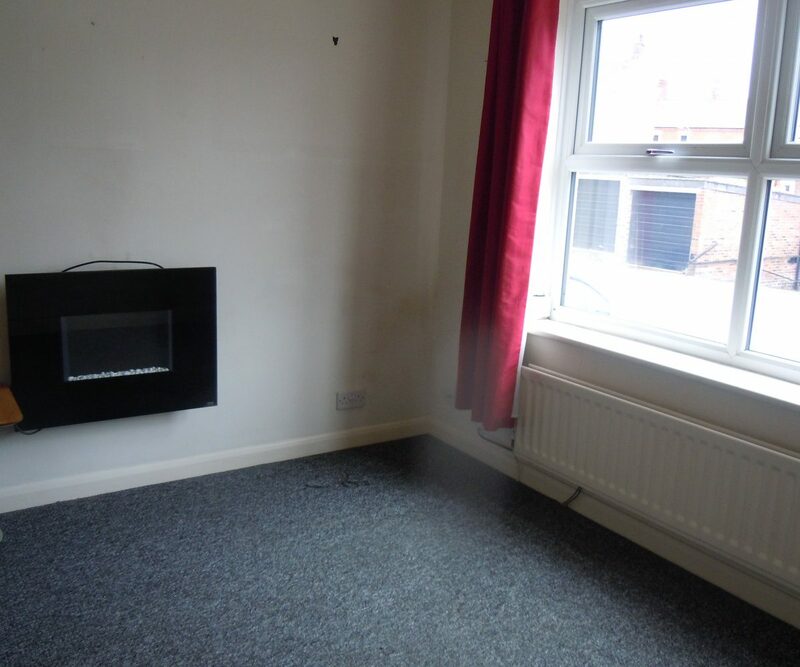 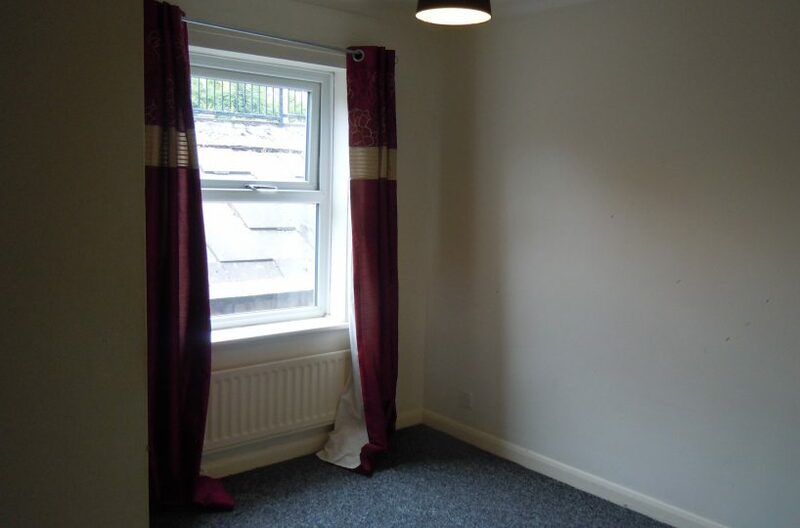 Bedroom: there is one well-presented double bedroom in this property, with a double glazed window, neutral carpeting and decoration and a gas central heating radiator. 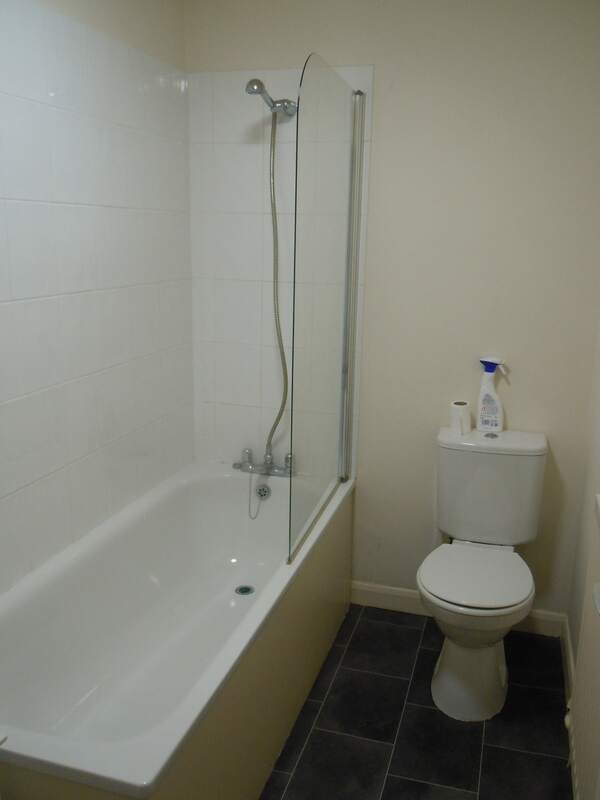 Bathroom: the neat, well-presented bathroom is fitted with a clean, white suite which includes W.C., hand wash basin, bath and a shower. 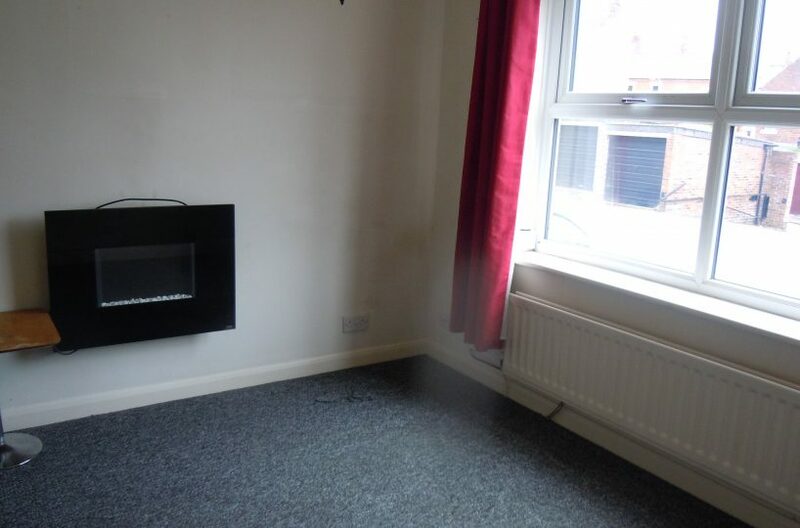 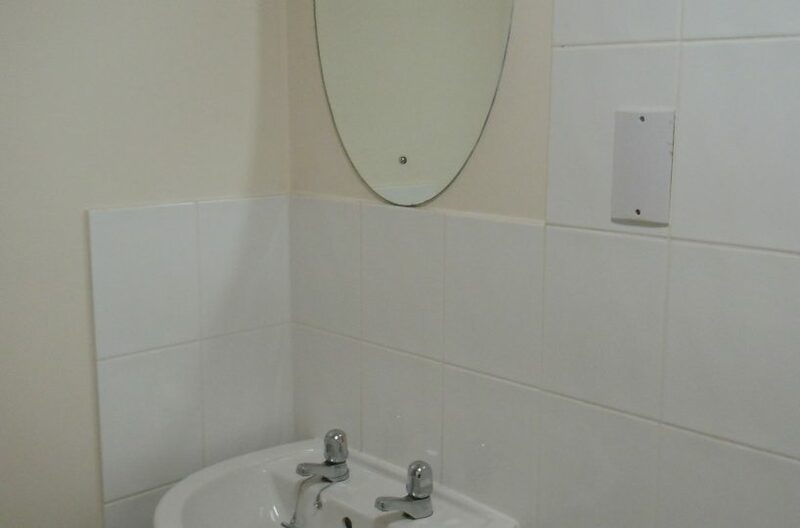 The room benefits from a gas radiator. 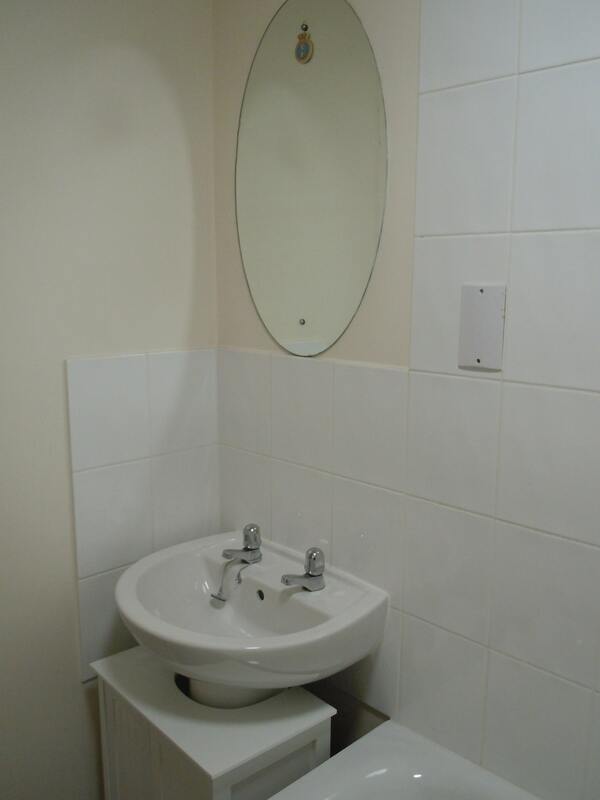 Parking: there is ample private parking in a large shared parking area to the front of this property. 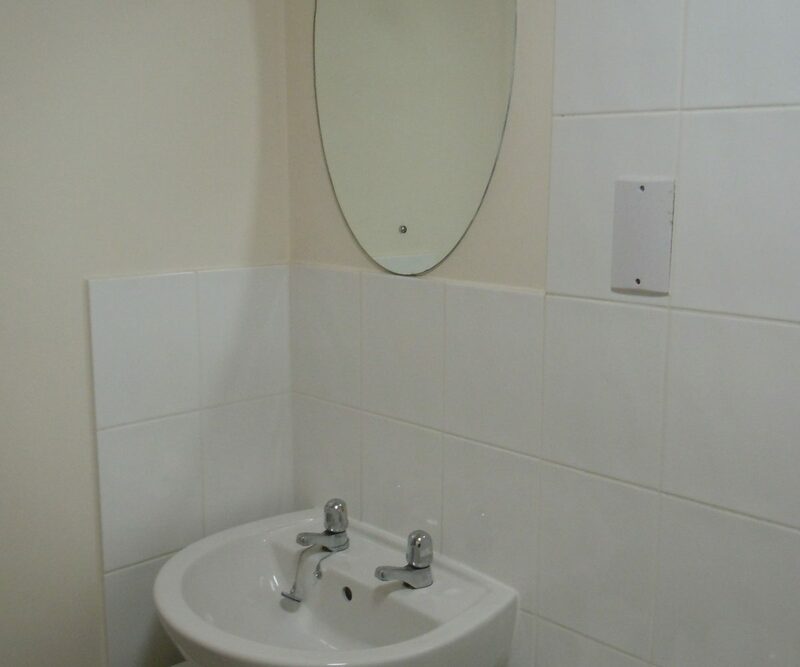 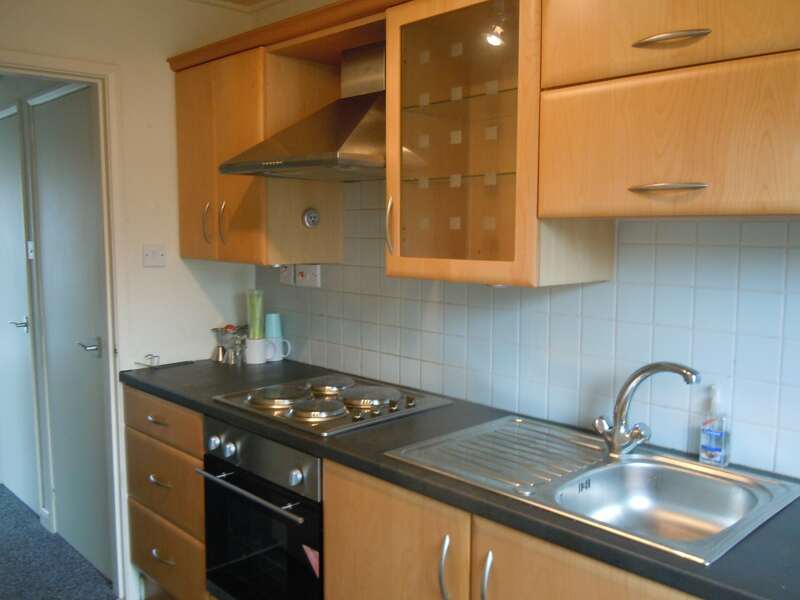 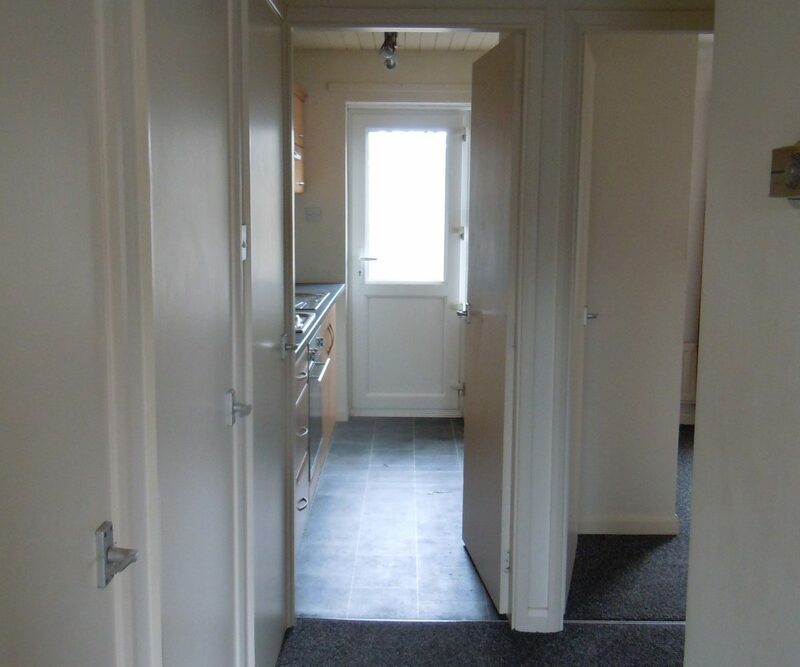 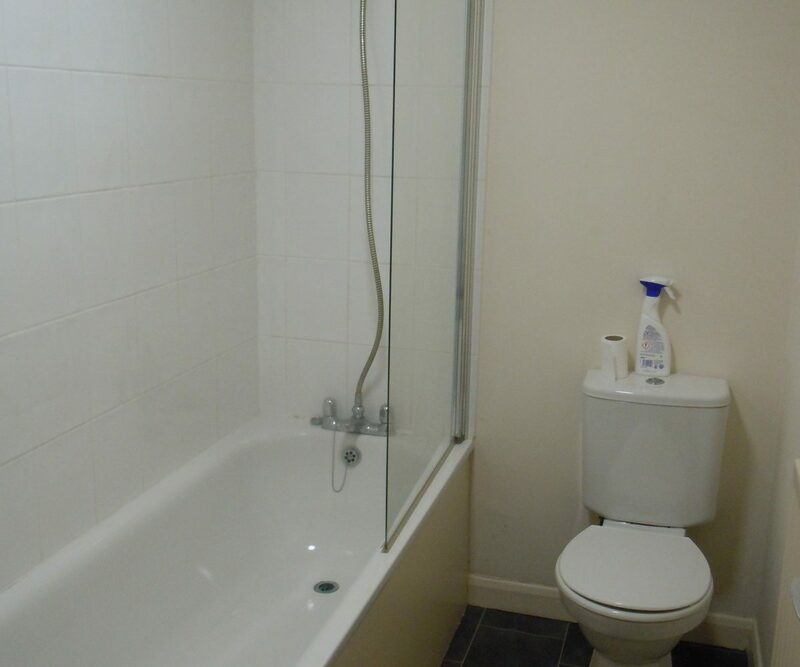 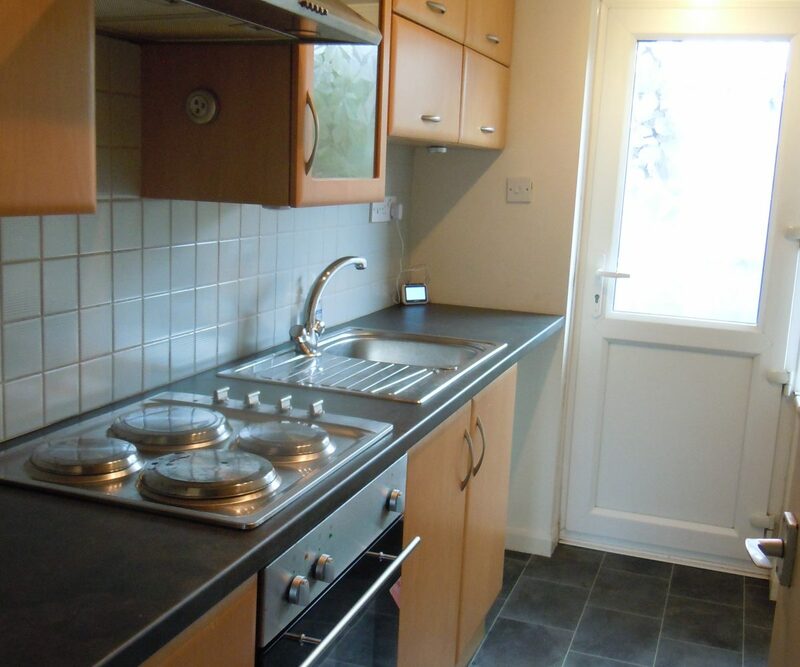 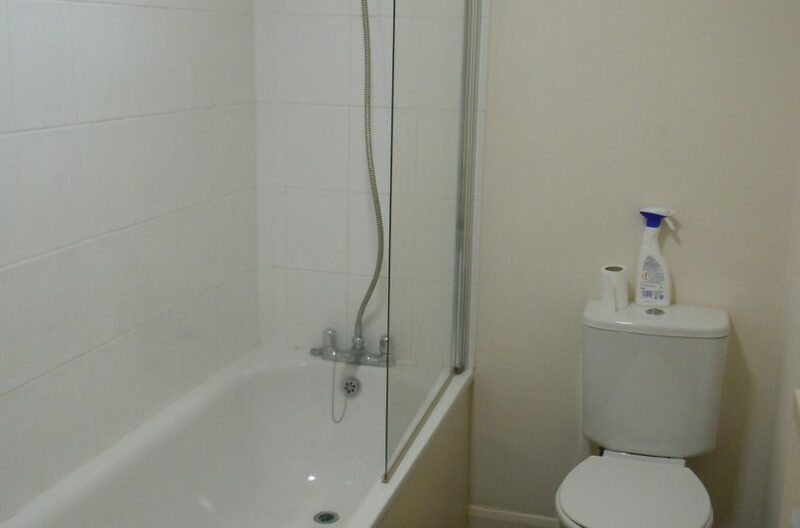 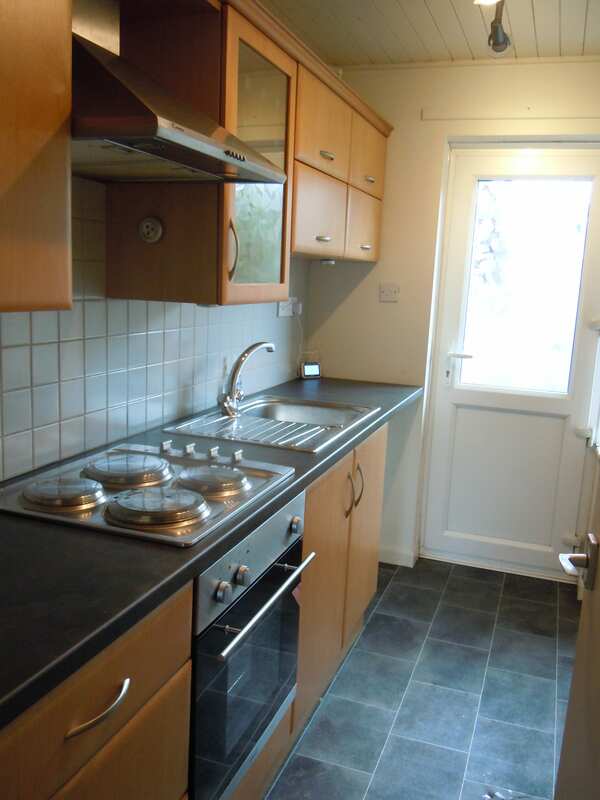 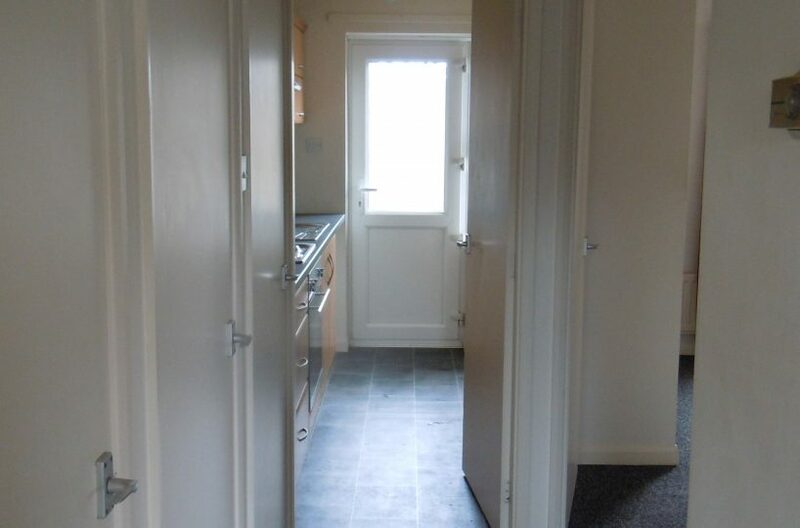 Garage: for an extra £40 PCM there is an option to rent the garage which accompanies this property.